First-in-Family Students has raised $ 2,720 from 45 gifts! 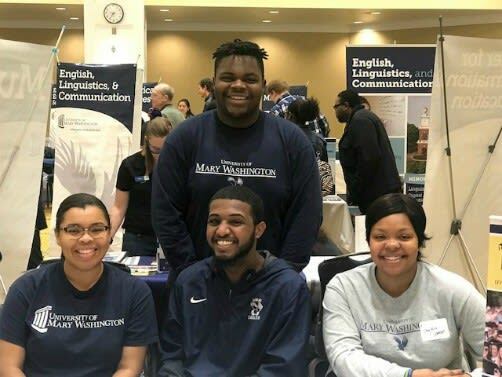 Support First-in-Family students on #MaryWashDay! 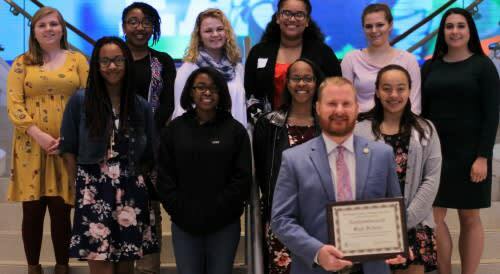 We represent several UMW programs – First-in-Family, Rappahannock Scholars, and the Student Transition Program – which provide assistance and guidance to underserved and underrepresented students. Four hundred first-year students are served through these programs, which help guide them through the often-uncharted territory of higher education. Studies show that it is often not academic difficulty that keeps students from succeeding; rather, it is lack of financial resources. One of the greatest unmet needs for underserved and underrepresented students is financial assistance for purchasing supplies such as textbooks, online resources that work in tandem with the textbook, and other materials needed for classes. The average college student spends $800 to $1,000 per year on textbooks, and this figure is often a hurdle for students served by our programs. Your Giving Day gift will provide the funds to assist students in purchasing textbooks and other class materials. While our programs are funded in a variety of different ways (including the sheer will and compassion of faculty and staff), none currently have access to emergency funds to help a student with a book or supplies that are critical to their success in a class.Your gift on Giving Day will provide essential funding for class materials, helping students overcome obstacles and set them up for academic success.